When a business action is alleged to be a white collar crime, our lawyers offer a strong and effective criminal defense that considers your needs. The Law Firm of Shein & Brandenburg, Federal Criminal Law Group represents people accused of a wide range of white collar crimes, including the ones listed below. If you’ve been accused of any of a number of white-collar crimes, you may be facing state and/or federal charges that may result in huge fines and prison sentences if convicted. The attorneys at The Law Firm of Shein & Brandenburg have many years of experience handling cases like yours, providing expert advice and skillful arguments to defend your rights under the law. There can obviously be overlap among these types of white-collar crimes, meaning that one incident of criminal activity can result in several charges. Although individual states have laws regulating white-collar crimes, charges like these are typically tried at the federal level, which can result in stiffer penalties if you are convicted. Our skilled criminal defense attorneys understand the ins and outs of the laws regulating white-collar crime. We will investigate the circumstances surrounding your case, advise you of your rights and explain your options. We have an excellent track record in pre-trial defense, and can work with the courts on such alternatives as plea bargains, non-trial mitigation and dismissal of charges. If your case does go to trial, we will represent your interests aggressively, and in case of conviction we will explore all post-trial options including proper appeals and sentence reduction. Conviction for money laundering and other white collar crimes brings with it heavy penalties that often include lengthy prison time and substantial fines. In addition, an individual’s personal and professional reputations may be seriously damaged. If you are under investigation for money laundering, do not wait until charges are brought before you contact a defense attorney. 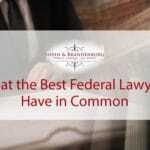 By obtaining the services of a federal money laundering defense attorney early in the process, you take steps to protect your rights and reputation. 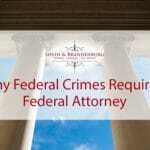 For federal white collar crimes, call the Atlanta-based Law Firm of Shein & Brandenburg, Federal Criminal Law Group. Many of the money laundering charges brought by the federal government involve fraudulent actions designed to conceal the true source of income — an illegal enterprise. A typical money laundering scenario involves a shell business that is set up for the purpose of sanitizing illegally gotten gains in drug cases or white collar fraud cases. Money laundering charges are often combined with other charges, including those related to white collar crimes, like fraud, embezzlement or drug offenses, like possession with intent to distribute drugs or sale and purchase of narcotics, as well as RICO violations. Money laundering cases are complex and should only be handled by experienced attorneys with the resources to conduct an in-depth investigation into the laws and facts involved in your case. At the Law Firm of Shein & Brandenburg, in the Atlanta area, we use a defense team approach to conduct our own investigations and often work with reputable experts — distinguishing legitimate business assets from allegedly illegally gotten gains. We are well qualified to do so. Our founding defense lawyer, Marcia Shein, is a nationally-recognized attorney with more than 20 years of experience. She is the author of numerous articles, has been an adjunct professor in criminal justice courses, and is a frequent lecturer on criminal defense and sentencing practices. Speaking with police investigators without your attorney present is never a good idea. Even if you feel you have nothing to hide, you can unintentionally waive your constitutional rights and make inadvertent statements that later appear incriminating. Further, you are not required to allow searches of your property or vehicles without search warrants. Protect yourself by invoking your right to an experienced defense attorney. In addition to the types of cases listed above, our lawyers are also highly skilled in defending fraud charges and in determining loss in white collar crimes. In United States v. Ebbers, 458 F.3d 110 (2nd Cir. 2006), despite lengthy arguments concerning (1) planned, sharp reductions in capital expenditures, (2) lay-offs affecting 70,000 employees, (3) the abandonment of non-core businesses, and (4) the deferral or elimination of dividends, the court was not swayed to depart as to an expert’s estimation that these factors might have been responsible for 35 percent or more of the stock’s decline and that should reduce the loss. b. The loss must be the result of the fraud. c. United States v. Olis, 429 F.3d 540, 547 (5th Cir. 2005). This case explains numerous factors, not just the defendant’s fraud, that contributed to stock price decline that may have affected the way the loss is calculated. This surrounds the personal gain by the person, party, or corporation from the fraudulent conduct. The pump and dump schemes are associated with this analysis. See United States v. Munoz, 430 F.3d 1357, 1371 (11th Cir. 2005) (cert. denied, 126 U.S. 2305 (2006). The sentencing Court would be justified in using defendant’s gain to assess loss given that it was arguably difficult to determine customers’ loss in misbranding case. See also United States v. Yeager, 331 F.3d 1216, 1225-26 (11th Cir. 2003). The court was unable to reasonably estimate the loss and, as such, used defendant’s profit as an analysis for guidelines purposes. United States v. Confredo, 528 F.3d 143 (2nd Cir. 2008) – Loss of causation where the intent was an “expectation of repayment.” See also United States v. Kopp, 951 F.2d 521 (3rd Cir. 1992) where the Third Circuit disagreed with the Second Circuit analysis siding instead with the Seventh Circuit (United States v. Schneider, 930 F.2d 555 (7th Cir. 1991))in finding that it was simple but irrational to treat all frauds as equivalent to thefts. In some mortgage fraud cases you are going to find the mortgage fraud occurred as a result of over-inflation of the actual value of a particular property resulting in front load money being received but the value of the property not reaching that level. Therefore, the actual value versus what the inflated value was as a result of the fraud is the loss. Now, with the downturn in economic circumstances and other factors that relate to real estate declines over time not associated with factors foreseeable or controllable by the defendant should be raised to decrease the loss. (Foreclosure sale, averages to actual mortgage obtained). Even when fraud occurs in a company that results in a decline of the company, there are still assets of the company that can be liquidated that give value to what the losses may initially show. There are also buyouts that may offset the value of a corporate loss, bailouts are now significant, and the differential between what the stock was inflated to and what the stocks’ real value is can fluctuate between the time of the fraud and the time the case is ready for trial and sentencing. Stocks often rebound even after a fraud has been identified. Some delay in the criminal conduct and the sentencing is helpful in these types of situations. You have bailouts, buyouts, and then you have recovery interests that might be valuable in analyzing loss. See Endura Pharmaceuticals, Inc. v. Broudo, 544 U.S. 336, 343 (2005) referencing Ebbers, 458 F.3d at 127. Ebbers discusses the market capitalization loss analysis. This offers an opportunity to compare other corporations in terms of their average financial circumstances during the same period of time of the fraud as well as the recovery period to determine if the loss is limited in time and substance. There is the market capitalization that we’ve already discussed on stock value when the fraud scheme occurred versus when the scheme was exposed, and whether or not the fluctuation of the stock can render the loss less potent. Another case that has a good analysis concerning when the fraud was disclosed versus some market effects that created a greater loss than what might have been evidenced from the fraud is United States v. Rutkoske, 506 F.3d 170 (2nd Cir. 2007) and also Emergent Capital Investment Management, LLC v. Stone Path Group, Inc., 343 F.3d 189 (2nd Cir. 2003). These cases discuss intervening events that affect how far reaching the fraud conduct itself can be on the substantive loss analysis. 6. Number of victims can be offset based on the time of the fraud versus market changes and reimbursements as well as the sophistication of the victim in the stock market. One of the best cases on this is United States v. Mount, 966 F.2d 262, 265 (7th Cir. 1992). This is an older case but it still has teeth in that the guidelines themselves offer consideration for overstatement of loss in certain circumstances where you can identify the type of distinctions that are mentioned here. United States v. Olis, 429 F.3d 540 (5th Cir. 2005).